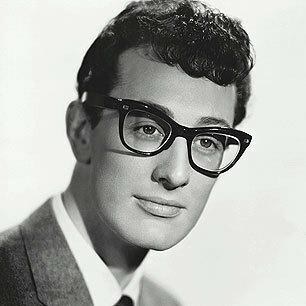 Buddy Holly longed to write a hit and make it big in the music industry. One evening he and his band mate, Jerry Allison, decided to see a John Wayne western, The Searchers. Wayne keeps repeating “That’ll be the day,” when he felt something was unlikely to happen. The phrase stuck and one evening while hanging out, Buddy lamented how nice it would be to record a hit song. Jerry replied, “that’ll be the day.” This inspired the duo to write the song. Holly originally recorded the song in 1956 Nashville with his band, The Three Tunes. However, Decca Records didn’t like the result and refused to release the song. A year later, Holly re-recorded the song with The Crickets in New Mexico. The key was lowered to better fit Holly’s voice. Upon release of the song that summer, Holly became the star he’d longed to be. This was Holly’s first hit, but is credited to his band, The Crickets. Decca records later released the original 1956 version, after the song became a hit. Norman Petty produced the song and took writing credit, forcing Holly and Allison to share royalties with him. In 1969, the single hit certified gold. The single was inducted into the Grammy Hall of Fame in 1998. The 1973 British film, That’ll Be the Day, was inspired by the song title. Linda Ronstadt released the song on her 1976 album, Hasten Down the Wind, which became a Grammy winner and was platinum certified. An additional side note is that the movie The Searchers inspired the name for the British music group, The Searchers.